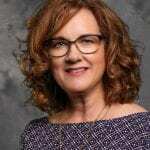 Dr. Kathleen (Kate) Gallagher is the Director of Research and Evaluation at the Buffett Early Childhood Institute at the University of Nebraska. An educational psychologist and early childhood professional, Dr. Gallagher has over 20 years’ experience teaching, home visiting, and leading early childhood programs. With an applied focus on young children 0-8 years and their families, Kate’s research examines practices, programs, and policies that support children’s development and learning, particularly in the contexts of poverty, disability, and cultural diversity. Her recent work is focused on how organizations can implement policies and practices to support the well-being of the early childhood professionals who work with young children and families. Before coming to the University of Nebraska in 2016, Gallagher spent 13 years at the University of North Carolina at Chapel Hill, where she taught in the School of Education and served as a research scientist at the Frank Porter Graham Child Development Institute. Gallagher holds a doctorate in educational psychology and human development from the University of Wisconsin-Madison. 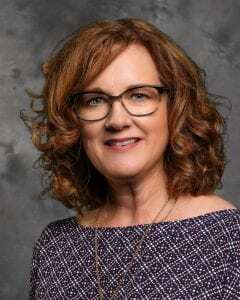 She earned a master’s degree in educational foundations from Marquette University and a bachelor’s degree in early childhood education and special education from Cardinal Stritch University.